Tranquil evergreen trees under frost and snow in picturesque landscape with woodland in cold winter time, Poland. 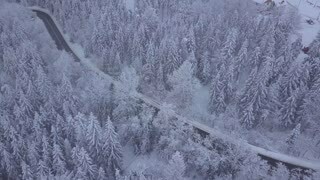 Aerial beautiful shot of spacious woodland with evergreen trees in white frost with paved roadway crossing lands, Poland. 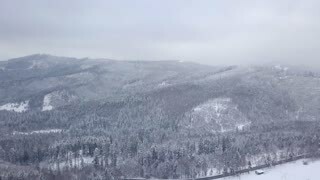 Picturesque panoramic landscape of misty mountains ranges with evergreen forest all covered with snow and frost, Poland. 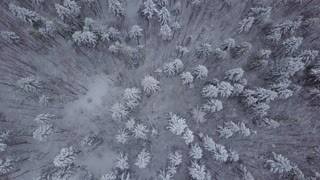 View from drone of spacious lands with lush evergreen forest covered with snow and frost in winter time, Poland. 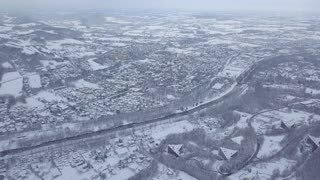 Scenic view from air of white snow covering streets and rural lands with trees in frost in winter time, Poland. 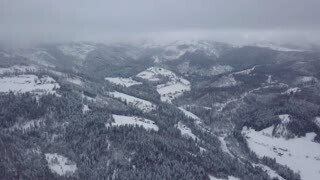 From above aerial view of picturesque white woodland with evergreen trees tops covered with fresh snow, Poland. 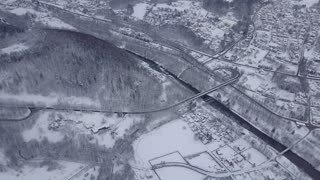 Aerial shot from drone of tranquil atmosphere in rural area all covered with white snow and frost in winter, Poland. 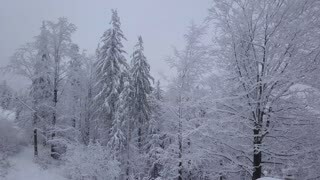 Picturesque view from height of tranquil spacious woodland with coniferous trees covered with snow and frost, Poland. 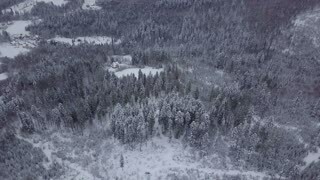 Aerial drone flight. 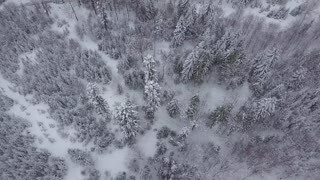 Wonderful atmosphere in tranquil forest with mixed trees sleeping under snow and frost in winter time, Poland. 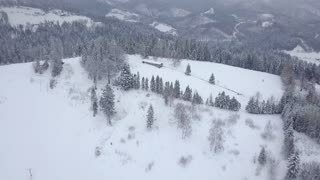 Picturesque view from drone of tranquil snowy lands of mountains range with endless coniferous woods in cold winter, Poland. 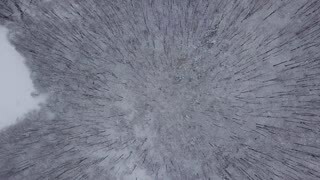 Aerial view from above of beautiful woodland with plenty of bare trees in white frost creating pattern on white snow, Poland. 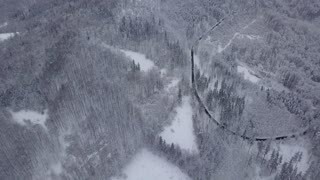 View from drone of tranquil evergreen woods in white snow with narrow river flowing among trees, Poland.